add a touch of chic to this premier Hoodlamb poncho..
Women’s Furry Poncho by Hemp Hoodlamb Clothing: This unique over poncho by Hoodlamb is lined with their patent protected Sati fur product which really helps keep the chill off in the chilly Autumnal and winter air. Made from totally sustainable hemp/organic cotton blend it is a long lasting poncho. 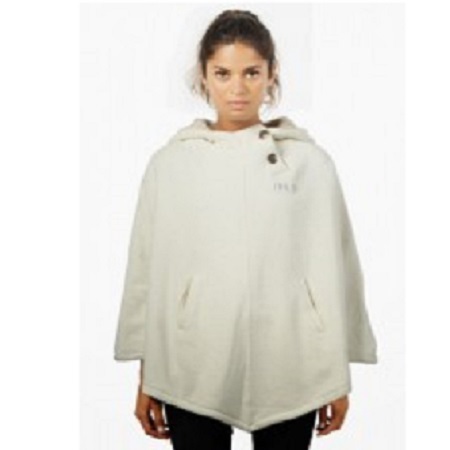 As ever complete with secret stash pocket, a deep fur lined pocket on the front and a high buttoned collar that really does add a touch of chic to this premier Hoodlamb poncho.